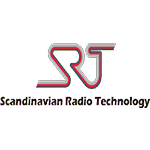 SRT was founded in late 2004 as consequence of major company restructurings and straight away aimed to further the market for products utilizing wireless communication for alarm and positioning purposes.Scandinavian Radio Technology (SRT) develops and manufactures communication technology. The main areas of product development lie in personal alarms, property alarms and mobile infrared alarms. With an innovative and committed workforce and a close working relationship with Swedish authorities and major security service companies SRT has attained a market leader position.